When Should I book a mover? 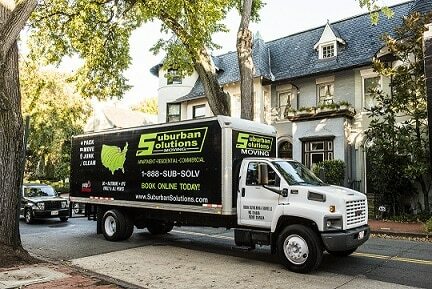 Suburban Solutions recommends booking at least two to three weeks in advance of your desired move date. Are you moving in the summer? Keep in mind that from April thru September is our busy season so we recommend as many as four or five weeks in the Summer Months. Are you looking to move at the end of the month or on a weekend too? Then please allow as many as four weeks. These days are of the highest demand in the moving world! We are very quick to respond to your requests, but the more time you give us, the more time you will have to prepare. Remember that the more prepared you are for your move, the quicker and more efficiently we can get you into your new home. Think, More Prepared = Less Stress on Moving Day! The more time we have, the better! Are you building a new home or renovating your existing home? Then we highly suggest planning at least one full week and up to two or three weeks of buffer. It can be very challenging to change your moving date last minute because of a builder delay, especially in the summer. Give your builder a little buffer for a delay, it will be worth it! You likely will have waited a couple of months, what is a few more days for peace of mind? Plus it will take a little bit of pressure of the builder so he can focus on quality over speed and prevent a mistake! Do I need to reserve an elevator for my move? If you moving into or out of an apartment building with an elevator, then it may be required as most buildings require that you reserve their elevator. Check with the front desk right away on your buildings policy. Don’t forget to ask your new building too! Some locations prohibit moving on weekends, which may be when you want to move! Most locations will also have a two or three hour window for an elevator reservation. Feel free to consult with us on timing so we get it nailed down just right for you. Moves often can go over the estimate if an elevator is not reserved and is shared with residents. So it is very helpful to everyone to have a secured time frame just for us. What if I am not sure of my moving date? We still recommend that you submit your request online right away. We have a little bit more freedom to adjust your date if we already have gone thru the request and estimate phase. By the time a potential date change comes around, we will already know all of the details and scope of your move so we can act more quickly. Keep in mind that date changes are at the mercy of the schedule. We would be unable to move another customer out of their reserved time. You would not want to move your date for someone else! But we will always do our very best to accommodate your scheduling needs! If you have any questions, feel free to email our corporate office at info@suburbansolutions.com and we can help direct you as best as we can! You can also request a quote by clicking on the red button!